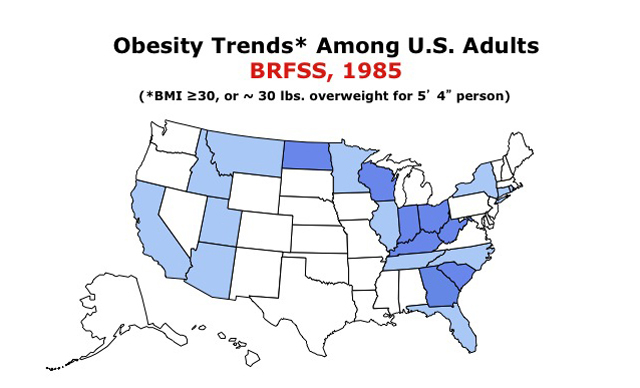 The South has long been home to grits, fried chicken, Coca-Cola, ham biscuits, and other culinary landmines, so it should come as no surprise that the nation’s obesity rate is climbing due in large part to millions of obese southerners, according to data released this week by the Center for Disease Control and Prevention. 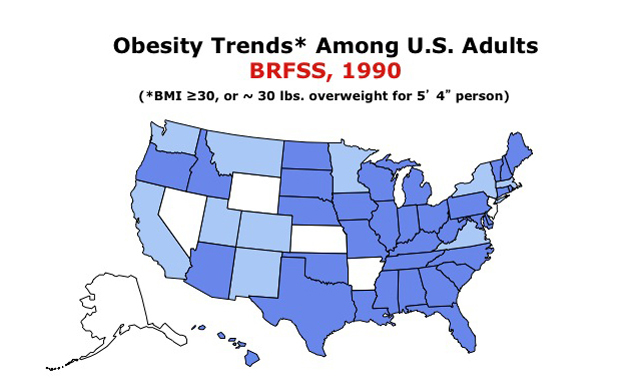 Overall, more than 35% of adults in this country fall into the obese category — that is, they have a body mass index (BMI) of 30 or more. 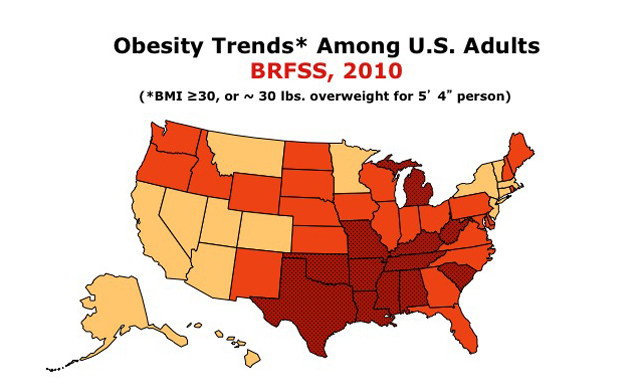 That means that out of a nation of more than 311 million people, over 100 million people are dangerously overweight. 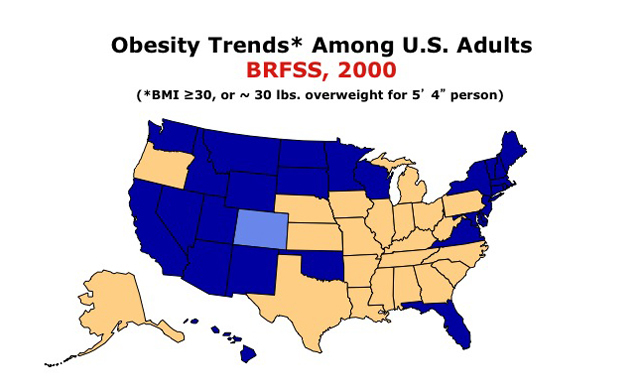 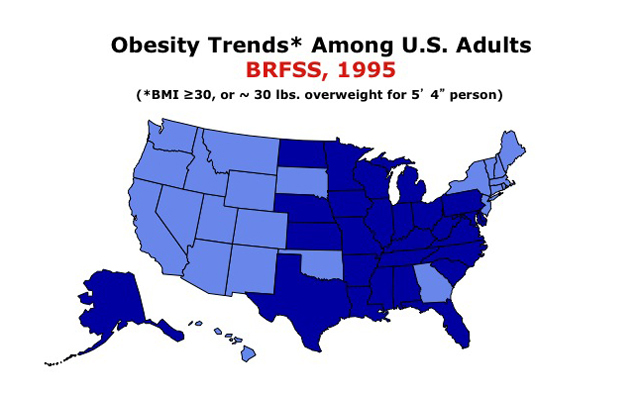 The lowest obesity rate in the nation is found in Colorado, at barely 20%. 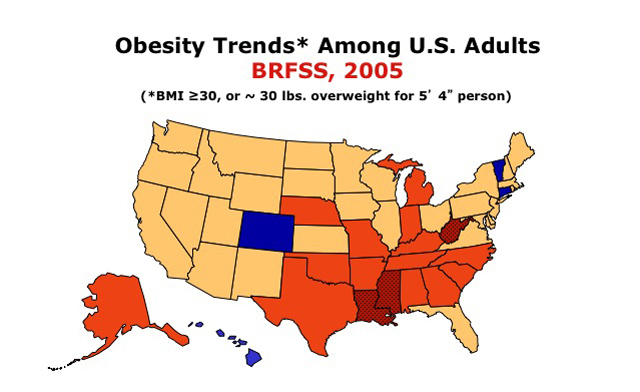 The next least obese state is Hawaii with 21.8% of its residents reportedly suffering from obesity.